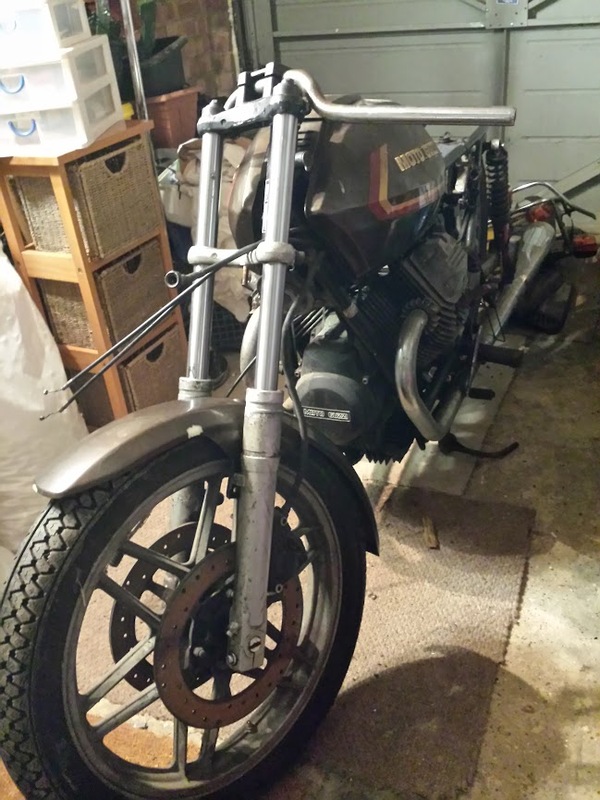 We have now started another build, a 7k miles gs550 that's been in storage for most of its life.After cleaning the bike it is obvious that it is in very good condition no rust on the frame at all so its a good base for a cafe racer. 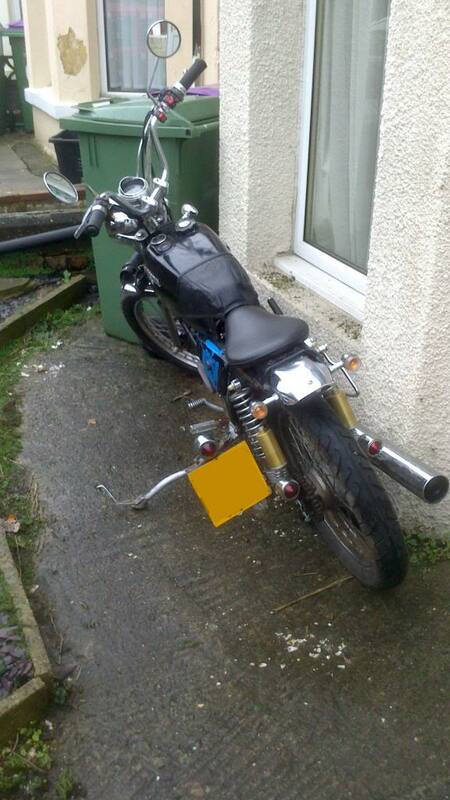 here she is moto guzzi v50 3 1980 sat in a garage for 14 years started then the starter motor gave up . These posts are from a while ago, figured I would post them on this forum too. I have been offered a 1991 Trident 900 for the princely sum of £500. It's been off the road for 2 years, all the panels have been stripped ready for painting, engine overhauled and put back in, new exhaust and standard silencer. Sooo, do I buy it and if so do I cafe it or just put it back on the road? 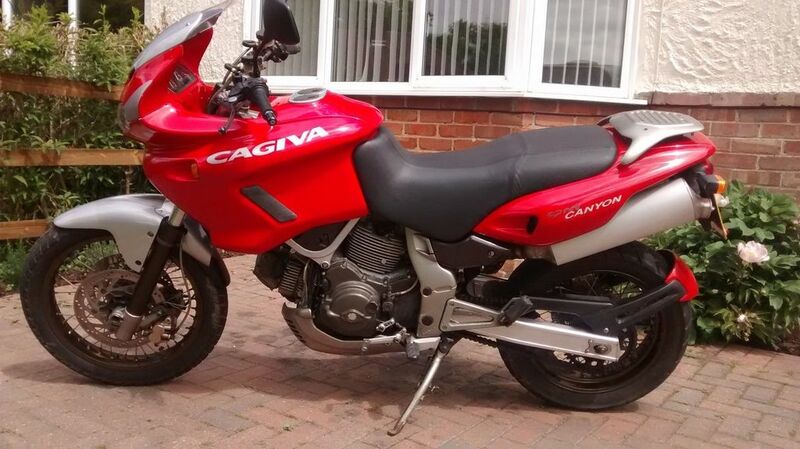 I'm a big fan of the Cagiva Gran Canyon, 904 desmo motor, frame made by MV, spoked wheels, good suspension.....and back in the spring bought a cheap one mainly for the panels to use on my road bike.....then got to wondering what to do with the bits left over! hi all i have been very busy & not had the time to be on here at all, now i have taken on more staff & an admin person to free me up to do what i love doing. 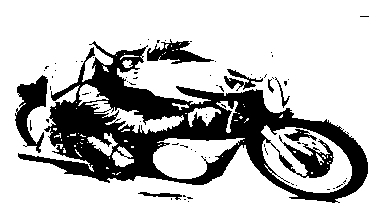 Honda h100A 1980, Some history and build pictures. 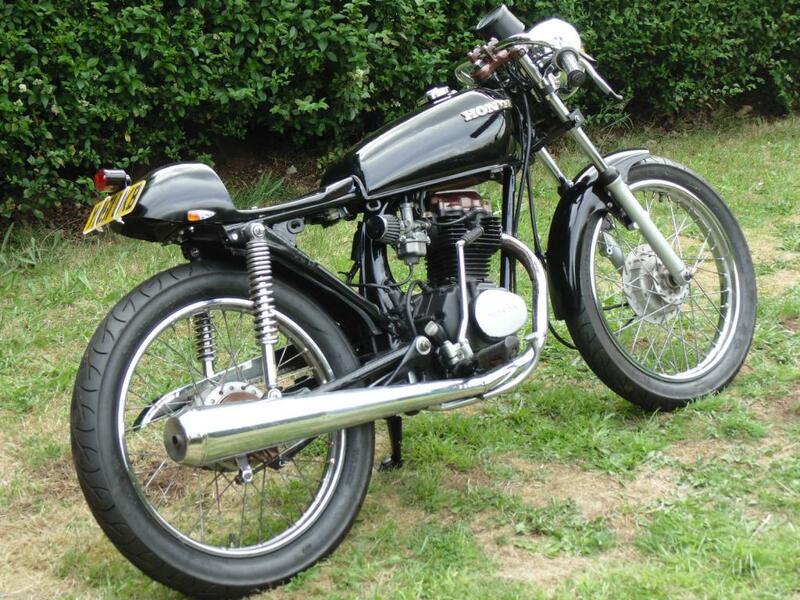 I started with a spit and polish and relocated the plate/rear light then enjoyed riding it as was for a while. Thought I'd start a topic on my current build. The guy I bought it off has made a really good start on it, there are just a few jobs I've got planned.